Ecuador (/ˈɛkwədɔːr/ ( listen) EK-wə-dor, Spanish: [ekwaˈðoɾ]) (Quechua: Ikwayur; Shuar: Ecuador or Ekuatur), officially the Republic of Ecuador (Spanish: República del Ecuador, which literally translates as “Republic of the Equator“; Quechua: Ikwadur Ripuwlika), is a country in northwestern South America, bordered by Colombia on the north, Peru on the east and south, and the Pacific Ocean on the west. Ecuador also includes the Galápagos Islands in the Pacific, about 1,000 kilometres (620 mi) west of the mainland. The capital city is Quito, which is also the largest city. What is now Ecuador was home to a variety of Amerindian groups that were gradually incorporated into the Inca Empire during the 15th century. The territory was colonized by Spain during the 16th century, achieving independence in 1820 as part of Gran Colombia, from which it emerged as its own sovereign state in 1830. The legacy of both empires is reflected in Ecuador’s ethnically diverse population, with most of its 16.4 million people being mestizos, followed by large minorities of European, Amerindian, and African descendants. Spanish is the official language and is spoken by a majority of the population, though 13 Amerindian languages are also recognized, including Quichua and Shuar. Various peoples had settled in the area of the future Ecuador before the arrival of the Incas. 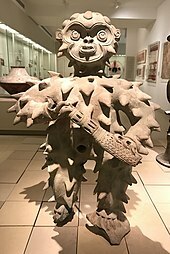 The archeological evidence suggests that the Paleo-Indians‘ first dispersal into the Americas occurred near the end of the last glacial period, around 16,500–13,000 years ago. The first Indians who reached Ecuador may have journeyed by land from North and Central America or by boat down the Pacific Ocean coastline. Much later migrations to Ecuador may have come via the Amazon tributaries, others descended from northern South America, and others ascended from the southern part of South America through the Andes. They developed different languages while emerging as unique ethnic groups. Huáscar did not recognize his father’s will, since it did not follow Inca traditions of naming an Inca through the priests. Huáscar ordered Atahualpa to attend their father’s burial in Cuzco and pay homage to him as the new Inca ruler. Atahualpa, with a large number of his father’s veteran soldiers, decided to ignore Huáscar, and a civil war ensued. A number of bloody battles took place until finally Huáscar was captured. Atahualpa marched south to Cuzco and massacred the royal family associated with his brother. After nearly 300 years of Spanish rule, Quito was still a small city numbering 10,000 inhabitants. On August 10, 1809, the city’s criollos called for independence from Spain (first among the peoples of Latin America). They were led by Juan Pío Montúfar, Quiroga, Salinas, and Bishop Cuero y Caicedo. 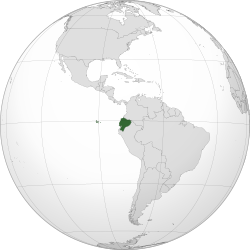 Quito’s nickname, “Luz de América” (“Light of America”), is based on its leading role in trying to secure an independent, local government. Although the new government lasted no more than two months, it had important repercussions and was an inspiration for the independence movement of the rest of Spanish America. August 10 is now celebrated as Independence Day, a national holiday. The “Guayaquil Conference” was the meeting between the two main Hispanic South American independence leaders. In it the form of government of the nascent countries was discussed, San Martín opted for a unified South America in the form of a monarchy, while Bolívar opted for the same but into a republic. 1843 painting. On October 9, 1820, Guayaquil became the first city in Ecuador to gain its independence from Spain. The people were very happy about the independence and celebrated, which is now Ecuador’s independence day, officially on May 24, 1822. The rest of Ecuador gained its independence after Antonio José de Sucre defeated the Spanish Royalist forces at the Battle of Pichincha, near Quito. Following the battle, Ecuador joined Simón Bolívar‘s Republic of Gran Colombia, also including modern-day Colombia, Venezuela and Panama. In 1830 Ecuador separated from Gran Colombia and became an independent republic. The 19th century was marked by instability for Ecuador with a rapid succession of rulers. The first president of Ecuador was the Venezuelan-born Juan José Flores, who was ultimately deposed, followed by several authoritarian leaders, such as Vicente Rocafuerte; José Joaquín de Olmedo; José María Urbina; Diego Noboa; Pedro José de Arteta; Manuel de Ascásubi; and Flores’s own son, Antonio Flores Jijón, among others. The conservative Gabriel Garcia Moreno unified the country in the 1860s with the support of the Roman Catholic Church. In the late 19th century, world demand for cocoa tied the economy to commodity exports and led to migrations from the highlands to the agricultural frontier on the coast. 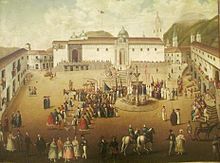 Since Ecuador’s separation from Colombia in May 13, 1830, its first President, General Juan José Flores, laid claim to the territory that was called the Real Audiencia of Quito, also referred to as the Presidencia of Quito. He supported his claims with Spanish Royal decrees or Real Cedulas, that delineated the borders of Spain’s former overseas colonies. In the case of Ecuador, Flores-based Ecuador’s de jure claims on the following cedulas – Real Cedula of 1563, 1739, and 1740; with modifications in the Amazon Basin and Andes Mountains that were introduced through the Treaty of Guayaquil (1829) which Peru reluctantly signed, after the overwhelmingly outnumbered Gran Colombian force led by Antonio José de Sucre defeated President and General La Mar’s Peruvian invasion force in the Battle of Tarqui. 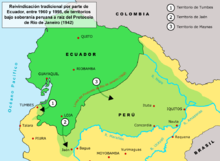 In addition, Ecuador’s eastern border with the Portuguese colony of Brazil in the Amazon Basin was modified before the wars of Independence by the First Treaty of San Ildefonso (1777) between the Spanish Empire and the Portuguese Empire. Moreover, to add legitimacy to his claims, on February 16, 1840, Flores signed a treaty with Spain, whereby Flores convinced Spain to officially recognize Ecuadorian independence and its sole rights to colonial titles over Spain’s former colonial territory known anciently to Spain as the Kingdom and Presidency of Quito. During the struggle for independence, before Peru or Ecuador became independent nations, a few areas of the former Vice Royalty of New Granada – Guayaquil, Tumbez, and Jaén – declared themselves independent from Spain. A few months later, a part of the Peruvian liberation army of San Martin decided to occupy the independent cities of Tumbez and Jaén with the intention of using these towns as springboards to occupy the independent city of Guayaquil and then to liberate the rest of the Audiencia de Quito (Ecuador). It was common knowledge among the top officers of the liberation army from the south that their leader San Martin wished to liberate present-day Ecuador and add it to the future republic of Peru, since it had been part of the Inca Empire before the Spaniards conquered it. However, Bolívar‘s intention was to form a new republic known as the Gran Colombia, out of the liberated Spanish territory of New Granada which consisted of Colombia, Venezuela, and Ecuador. San Martin’s plans were thwarted when Bolívar, with the help of Marshal Antonio José de Sucre and the Gran Colombian liberation force, descended from the Andes mountains and occupied Guayaquil; they also annexed the newly liberated Audiencia de Quito to the Republic of Gran Colombia. This happened a few days before San Martin’s Peruvian forces could arrive and occupy Guayaquil, with the intention of annexing Guayaquil to the rest of Audiencia of Quito (Ecuador) and to the future republic of Peru. Historic documents repeatedly stated that San Martin told Bolivar he came to Guayaquil to liberate the land of the Incas from Spain. 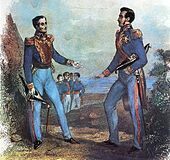 Bolivar countered by sending a message from Guayaquil welcoming San Martin and his troops to Colombian soil. In the south, Ecuador had de jure claims to a small piece of land beside the Pacific Ocean known as Tumbes which lay between the Zarumilla and Tumbes rivers. In Ecuador’s southern Andes Mountain region where the Marañon cuts across, Ecuador had de jure claims to an area it called Jaén de Bracamoros. These areas were included as part of the territory of Gran Colombia by Bolivar on December 17, 1819, during the Congress of Angostura when the Republic of Gran Colombia was created. Tumbes declared itself independent from Spain on January 17, 1821, and Jaen de Bracamoros on June 17, 1821, without any outside help from revolutionary armies. However, that same year, 1821, Peruvian forces participating in the Trujillo revolution occupied both Jaen and Tumbes. Some Peruvian generals, without any legal titles backing them up and with Ecuador still federated with the Gran Colombia, had the desire to annex Ecuador to the Republic of Peru at the expense of the Gran Colombia, feeling that Ecuador was once part of the Inca Empire. On July 28, 1821, Peruvian independence was proclaimed in Lima by the Liberator San Martin and Tumbes and Jaen which were included as part of the revolution of Trujillo by the Peruvian occupying force, had the whole region swear allegiance to the new Peruvian flag and incorporated itself into Peru, even though Peru was not completely liberated from Spain. After Peru was completely liberated from Spain by the patriot armies led by Bolivar and Antonio Jose de Sucre at the Battle of Ayacucho dated December 9, 1824, there was a strong desire by some Peruvians to resurrect the Inca Empire and to include Bolivia and Ecuador. One of these Peruvian Generals was the Ecuadorian-born José de La Mar, who became one of Peru’s presidents after Bolivar resigned as dictator of Peru and returned to Colombia. Gran Colombia had always protested Peru for the return of Jaen and Tumbes for almost a decade, then finally Bolivar after long and futile discussion over the return of Jaen, Tumbes, and part of Mainas, declared war. President and General José de La Mar, who was born in Ecuador, believing his opportunity had come to annex the District of Ecuador to Peru, personally, with a Peruvian force, invaded and occupied Guayaquil and a few cities in the Loja region of southern Ecuador on November 28, 1828. The war ended when a triumphant heavily outnumbered southern Gran Colombian army at Battle of Tarqui dated February 27, 1829, led by Antonio José de Sucre, defeated the Peruvian invasion force led by President La Mar. This defeat led to the signing of the Treaty of Guayaquil dated September 22, 1829, whereby Peru and its Congress recognized Gran Colombian rights over Tumbes, Jaen, and Maynas. Through protocolized meetings between representatives of Peru and Gran Colombia, the border was set as Tumbes river in the west and in the east the Maranon and Amazon rivers were to be followed toward Brazil as the most natural borders between them. However, what was pending was whether the new border around the Jaen region should follow the Chinchipe river or the Huancabamba river. According to the peace negotiations Peru agreed to return Guayaquil, Tumbez, and Jaén; despite this, Peru returned Guayaquil, but failed to return Tumbes and Jaén, alleging that it was not obligated to follow the agreements, since the Gran Colombia ceased to exist when it divided itself into three different nations – Ecuador, Colombia, and Venezuela. The Central District of the Gran Colombia, known as Cundinamarca or New Granada (modern Colombia) with its capital in Bogota, did not recognize the separation of the Southern District of the Gran Colombia, with its capital in Quito, from the Gran Colombian federation on May 13, 1830. After Ecuador’s separation, the Department of Cauca voluntarily decided to unite itself with Ecuador due to instability in the central government of Bogota. President Juan José Flores with the approval of the Ecuadorian congress annexed the Department of Cauca on December 20, 1830, since the government of Cauca had called for union with the District of the South as far back as April 1830. Moreover, the Cauca region throughout its long history had very strong economic and cultural ties with the people of Ecuador. Also, the Cauca region which included such cities as Pasto, Popayán, and Buenaventura had always been dependent on the Presidencia or Audiencia of Quito. When Ecuador seceded from the Gran Colombia, Peru decided not to follow the treaty of Guayaquil of 1829 or the protocoled agreements made. 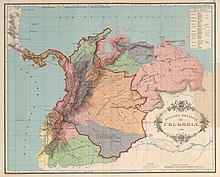 Peru contested Ecuador’s claims with the newly discovered Real Cedula of 1802, by which Peru claims the King of Spain had transferred these lands from the Viceroyalty of New Granada to the Viceroyalty of Peru. During colonial times this was to halt the ever-expanding Portuguese settlements into Spanish domains, which were left vacant and in disorder after the expulsion of Jesuit missionaries from their bases along the Amazon Basin. Ecuador countered by labeling the Cedula of 1802 an ecclesiastical instrument, which had nothing to do with political borders. Peru began its de facto occupation of disputed Amazonian territories, after it signed a secret 1851 peace treaty in favor of Brazil. This treaty disregarded Spanish rights that were confirmed during colonial times by a Spanish-Portuguese treaty over the Amazon regarding territories held by illegal Portuguese settlers. In the early part of the 20th century Ecuador made an effort to peacefully define its eastern Amazonian borders with its neighbours through negotiation. On May 6, 1904, Ecuador signed the Tobar-Rio Branco Treaty recognizing Brazil’s claims to the Amazon in recognition of Ecuador’s claim to be an Amazonian country to counter Peru’s earlier Treaty with Brazil back in October 23, 1851. Then after a few meetings with the Colombian government’s representatives an agreement was reached and the Muñoz Vernaza-Suarez Treaty was signed July 15, 1916, in which Colombian rights to the Putumayo river were recognized as well as Ecuador’s rights to the Napo river and the new border was a line that ran midpoint between those two rivers. In this way Ecuador gave up the claims it had to the Amazonian territories between the Caquetá River and Napo River to Colombia, thus cutting itself off from Brazil. Later a brief war erupted between Colombia and Peru, over Peru’s claims to the Caquetá region, which ended with the Peru reluctantly signing the Salomon-Lozano Treaty on March 24, 1922. Ecuador protested this secret treaty, since Colombia gave away Ecuadorian claimed land to Peru that Ecuador had given to Colombia in 1916. Four years later in 1941, amid fast-growing tensions within disputed territories around the Zarumilla River, war broke out with Peru. Peru claimed that Ecuador’s military presence in Peruvian-claimed territory was an invasion; Ecuador, for its part, claimed that Peru had recently invaded Ecuador around the Zarumilla River and that Peru since Ecuador’s independence from Spain has systematically occupied Tumbez, Jaen, and most of the disputed territories in the Amazonian Basin between the Putomayo and Marañon Rivers. In July 1941, troops were mobilized in both countries. Peru had an army of 11,681 troops who faced a poorly supplied and inadequately armed Ecuadorian force of 2,300, of which only 1,300 were deployed in the southern provinces. Hostilities erupted on July 5, 1941, when Peruvian forces crossed the Zarumilla river at several locations, testing the strength and resolve of the Ecuadorian border troops. Finally, on July 23, 1941, the Peruvians launched a major invasion, crossing the Zarumilla river in force and advancing into the Ecuadorian province of El Oro. The 1944 Glorious May Revolution followed a military-civilian rebellion and a subsequent civic strike which successfully removed Carlos Arroyo del Río as a dictator from Ecuador’s government. However, a post-Second World War recession and popular unrest led to a return to populist politics and domestic military interventions in the 1960s, while foreign companies developed oil resources in the Ecuadorian Amazon. 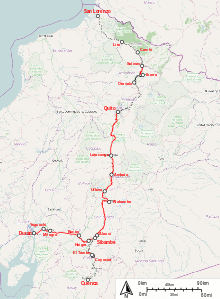 In 1972, construction of the Andean pipeline was completed. The pipeline brought oil from the east side of the Andes to the coast, making Ecuador South America’s second largest oil exporter. The pipeline in southern Ecuador did nothing to resolve tensions between Ecuador and Peru, however. The Rio Protocol failed to precisely resolve the border along a little river in the remote Cordillera del Cóndor region in southern Ecuador. This caused a long-simmering dispute between Ecuador and Peru, which ultimately led to fighting between the two countries; first a border skirmish in January–February 1981 known as the Paquisha Incident, and ultimately full-scale warfare in January 1995 where the Ecuadorian military shot down Peruvian aircraft and helicopters and Peruvian infantry marched into southern Ecuador. Each country blamed the other for the onset of hostilities, known as the Cenepa War. Sixto Durán Ballén, the Ecuadorian president, famously declared that he would not give up a single centimeter of Ecuador. Popular sentiment in Ecuador became strongly nationalistic against Peru: graffiti could be seen on the walls of Quito referring to Peru as the “Cain de Latinoamérica“, a reference to the murder of Abel by his brother Cain in the Book of Genesis. Ecuador and Peru signed the Brasilia Presidential Act peace agreement on October 26, 1998, which ended hostilities, and effectively put an end to the Western Hemisphere’s longest running territorial dispute. 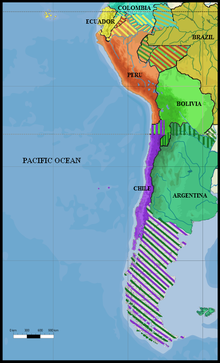 The Guarantors of the Rio Protocol (Argentina, Brazil, Chile, and the United States of America) ruled that the border of the undelineated zone was to be set at the line of the Cordillera del Cóndor. While Ecuador had to give up its decades-old territorial claims to the eastern slopes of the Cordillera, as well as to the entire western area of Cenepa headwaters, Peru was compelled to give to Ecuador, in perpetual lease but without sovereignty, 1 km2 (0.39 sq mi) of its territory, in the area where the Ecuadorian base of Tiwinza – focal point of the war – had been located within Peruvian soil and which the Ecuadorian Army held during the conflict. The final border demarcation came into effect on May 13, 1999 and the multi-national MOMEP (Military Observer Mission for Ecuador and Peru) troop deployment withdrew on June 17, 1999. In 1972, a “revolutionary and nationalist” military junta overthrew the government of Velasco Ibarra. The coup d’état was led by General Guillermo Rodríguez and executed by navy commander Jorge Queirolo G. The new president exiled José María Velasco to Argentina. He remained in power until 1976, when he was removed by another military government. That military junta was led by Admiral Alfredo Poveda, who was declared chairman of the Supreme Council. The Supreme Council included two other members: General Guillermo Durán Arcentales and General Luis Leoro Franco. The civil society more and more insistently called for democratic elections. Colonel Richelieu Levoyer, Government Minister, proposed and implemented a Plan to return to the constitutional system through universal elections. This plan enabled the new democratically elected president to assume the duties of the executive office. Roldos was immediately succeeded by Vice President Osvaldo Hurtado, who was followed in 1984 by León Febres Cordero from the Social Christian Party. Rodrigo Borja Cevallos of the Democratic Left (Izquierda Democrática, or ID) party won the presidency in 1988, running in the runoff election against Abdalá Bucaram (brother in law of Jaime Roldos and founder of the Ecuadorian Roldosist Party). His government was committed to improving human rights protection and carried out some reforms, notably an opening of Ecuador to foreign trade. The Borja government concluded an accord leading to the disbanding of the small terrorist group, “¡Alfaro Vive, Carajo!” (“Alfaro Lives, Dammit!”), named after Eloy Alfaro. However, continuing economic problems undermined the popularity of the ID, and opposition parties gained control of Congress in 1999. In December 2008, president Correa declared Ecuador’s national debt illegitimate, based on the argument that it was odious debt contracted by corrupt and despotic prior regimes. He announced that the country would default on over $3 billion worth of bonds; he then pledged to fight creditors in international courts and succeeded in reducing the price of outstanding bonds by more than 60%. He brought Ecuador into the Bolivarian Alliance for the Americas in June 2009. To date, Correa’s administration has succeeded in reducing the high levels of poverty and unemployment in Ecuador. The executive branch is led by the president, an office currently held by Lenín Moreno. 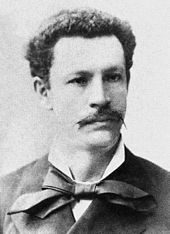 He is accompanied by the vice-president, currently Otto Sonnenholzner, elected for four years (with the ability to be re-elected only once). As head of state and chief government official, he is responsible for public administration including the appointing of national coordinators, ministers, ministers of State and public servants. The executive branch defines foreign policy, appoints the Chancellor of the Republic, as well as ambassadors and consuls, being the ultimate authority over the Armed Forces of Ecuador, National Police of Ecuador, and appointing authorities. The acting president’s wife receives the title of First Lady of Ecuador. Ecuador’s judiciary has as its main body the Judicial Council, and also includes the National Court of Justice, provincial courts, and lower courts. Legal representation is made by the Judicial Council. The National Court of Justice is composed of 21 judges elected for a term of nine years. Judges are renewed by thirds every three years pursuant to the Judicial Code. These are elected by the Judicial Council on the basis of opposition proceedings and merits. The justice system is buttressed by the independent offices of public prosecutor and the public defender. Auxiliary organs are as follows: notaries, court auctioneers, and court receivers. Also there is a special legal regime for Amerindians. The electoral system functions by authorities which enter only every four years or when elections or referendums occur. Its main functions are to organize, control elections, and punish the infringement of electoral rules. Its main body is the National Electoral Council, which is based in the city of Quito, and consists of seven members of the political parties most voted, enjoying complete financial and administrative autonomy. This body, along with the electoral court, forms the Electoral Branch which is one of Ecuador’s five branches of government. UN’s Human Rights Council‘s (HRC) Universal Periodic Review (UPR) has treated the restrictions on freedom of expression and efforts to control NGOs and recommended that Ecuador should stop the criminal sanctions for the expression of opinions, and delay in implementing judicial reforms. Ecuador rejected the recommendation on decriminalization of libel. According to Human Rights Watch (HRW) President Correa has intimidated journalists and subjected them to “public denunciation and retaliatory litigation”. The sentences to journalists have been years of imprisonment and millions of dollars of compensation, even though defendants have been pardoned. Correa has stated he was only seeking a retraction for slanderous statements. According to HRW, Correa’s government has weakened the freedom of press and independence of the judicial system. In Ecuador’s current judicial system, judges are selected in a contest of merits, rather than government appointments. However, the process of selection has been criticized as biased and subjective. In particular, the final interview is said to be given “excessive weighing.” Judges and prosecutors that have made decisions in favor of Correa in his lawsuits have received permanent posts, while others with better assessment grades have been rejected. People engaging in public protests against environmental and other issues are prosecuted for “terrorism and sabotage”, which may lead to an eight-year prison sentence. Ecuador’s principal foreign policy objectives have traditionally included defense of its territory from external aggression and support for the objectives of the United Nations and the OAS. Ecuador’s membership in the OPEC in the 1970s and 1980s allowed Ecuadorian leaders to exercise somewhat greater foreign policy autonomy. In Antarctica, Ecuador has maintained a peaceful research station for scientific study as a member nation of the Antarctica Treaty. Ecuador has often placed great emphasis on multilateral approaches to international issues. Ecuador is a member of the United Nations (and most of its specialized agencies) and a member of many regional groups, including the Rio Group, the Latin American Economic System, the Latin American Energy Organization, the Latin American Integration Association, the Bolivarian Alliance for the Peoples of Our America, the Andean Community of Nations, the Union of South American Nations (UNASUR), and The Bank of the South (Spanish: Banco del Sur or BancoSur). The Ecuadorian government commits itself to upholding a progressive attitude towards migration related problems, declaring its Ministry of Foreign Affairs “Ministry of Foreign Affairs and Human Mobility” (Spanish: Ministerio de Relaciones Exteriores y Movilidad Humana). In 2017, the Ecuadorian parliament adopted a Law on human mobility . In 2018 the ministry presented a new Human Mobility National Plan, based on policies aimed at promoting universal citizenship and free mobility in the international sphere; generate conditions to promote an orderly and safe migration, strengthen the protection of the rights of this population and defend its diversity, integration, and coexistence. Regionalization, or zoning, is the union of two or more adjoining provinces in order to decentralize the administrative functions of the capital Quito. The icons of the Ecuadorian military forces are the Marshall Antonio José de Sucre and General Eloy Alfaro. The Military Academy General Eloy Alfaro (c. 1838) graduates the army officers and is located in Quito. The Ecuadorian Navy Academy (c. 1837), located in Salinas graduates the navy officers, and the Air Academy “Cosme Rennella (c. 1920), also located in Salinas, graduates the air force officers. Other training academies for different military specialties are found across the country. bounded on the west by the Pacific Ocean, and has 2,337 km (1,452 mi) of coastline. It has 2,010 km (1,250 mi) of land boundaries, with Colombia in the north 590 km (367 mi) border and Peru in the east and south 1,420 km (882 mi) border. It is the westernmost country that lies on the equator. 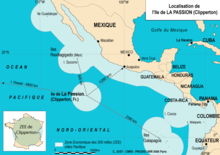 La Costa, or “the coast”: The coastal region consists of the provinces to the West of the Andean range – Esmeraldas, Guayas, Los Ríos, Manabí, El Oro, Santa Elena. It is the country’s most fertile and productive land, and is the seat of the large banana exportation plantations of the companies Dole and Chiquita. This region is also where most of Ecuador’s rice crop is grown. The truly coastal provinces have active fisheries. The largest coastal city is Guayaquil. 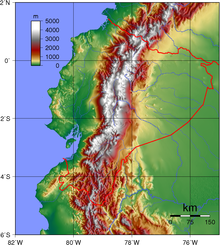 La Sierra, or “the highlands”: The sierra consists of the Andean and Interandean highland provinces – Azuay, Cañar, Carchi, Chimborazo, Imbabura, Loja, Pichincha, and Tungurahua. This land contains most of Ecuador’s volcanoes and all of its snow-capped peaks. Agriculture is focused on the traditional crops of potato, maize, and quinua and the population is predominantly Amerindian Kichua. 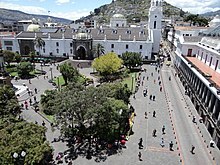 The largest Sierran city is Quito. La Amazonía, also known as El Oriente, or “the east”: The oriente consists of the Amazon jungle provinces – Morona Santiago, Napo, Orellana, Pastaza, Sucumbíos, and Zamora-Chinchipe. This region is primarily made up of the huge Amazon national parks and Amerindian untouchable zones, which are vast stretches of land set aside for the Amazon Amerindian tribes to continue living traditionally. It is also the area with the largest reserves of petroleum in Ecuador, and parts of the upper Amazon here have been extensively exploited by petroleum companies. The population is primarily mixed Amerindian Shuar, Huaorani and Kichua, although there are numerous tribes in the deep jungle which are little-contacted. The largest city in the Oriente is probably Lago Agrio in Sucumbíos, although Macas in Morona Santiago runs a close second. Ecuador’s capital is Quito, which is in the province of Pichincha in the Sierra region. Its largest city is Guayaquil, in the Guayas Province. Cotopaxi, just south of Quito, is one of the world’s highest active volcanoes. The top of Mount Chimborazo (6,268 m, or 20,560 ft, above sea level), Ecuador’s tallest mountain, is the most distant point from the center of the Earth on the Earth’s surface because of the ellipsoid shape of the planet. Because of its location at the equator, Ecuador experiences little variation in daylight hours during the course of a year. Both sunrise and sunset occur each day at the two six o’clock hours. Ecuador has 1,600 bird species (15% of the world’s known bird species) in the continental area and 38 more endemic in the Galápagos. In addition to over 16,000 species of plants, the country has 106 endemic reptiles, 138 endemic amphibians, and 6,000 species of butterfly. The Galápagos Islands are well known as a region of distinct fauna, famous as the place of birth of Darwin’s Theory of Evolution and a UNESCO World Heritage Site. Ecuador has the first constitution to recognize the rights of nature. The protection of the nation’s biodiversity is an explicit national priority as stated in the National Plan of “Buen Vivir”, or good living, Objective 4, “Guarantee the rights of nature”, Policy 1: “Sustainably conserve and manage the natural heritage, including its land and marine biodiversity, which is considered a strategic sector”. As of the writing of the Plan in 2008, 19% of Ecuador’s land area was in a protected area; however, the Plan also states that 32% of the land must be protected in order to truly preserve the nation’s biodiversity. Current protected areas include 11 national parks, 10 wildlife refuges, 9 ecological reserves, and other areas. A program begun in 2008, Sociobosque, is preserving another 2.3% of total land area (6,295 km2, or 629,500 ha) by paying private landowners or community landowners (such as Amerindian tribes) incentives to maintain their land as native ecosystems such as native forests or grasslands. Eligibility and subsidy rates for this program are determined based on the poverty in the region, the number of hectares that will be protected, and the type of ecosystem of the land to be protected, among other factors. Ecuador has a developing economy that is highly dependent on commodities, namely petroleum and agricultural products. The country is classified as an upper-middle-income country. Ecuador’s economy is the eighth largest in Latin America and experienced an average growth of 4.6% between 2000 and 2006. From 2007 to 2012 Ecuador’s GDP grew at an annual average of 4.3 percent, above the average for Latin America and the Caribbean, which was 3.5%, according to the United Nations’ Economic Commission for Latin American and the Caribbean (ECLAC). Ecuador was able to maintain relatively superior growth during the crisis. In January 2009 the Central Bank of Ecuador (BCE) put the 2010 growth forecast at 6.88%. In 2011 its GDP grew at 8% and ranked 3rd highest in Latin America, behind Argentina (2nd) and Panama (1st). Between 1999 and 2007, GDP doubled, reaching $65,490 million according to BCE. Inflation rate up to January 2008 was located about 1.14%, the highest recorded in the last year, according to the government. The monthly unemployment rate remained at about 6 and 8 percent from December 2007 until September 2008; however, it went up to about 9 percent in October and dropped again in November 2008 to 8 percent. Unemployment mean annual rate for 2009 in Ecuador was 8.5% because the global economic crisis continued to affect the Latin American economies. From this point unemployment rates started a downward trend: 7.6% in 2010, 6.0% in 2011, and 4.8% in 2012. In the agricultural sector, Ecuador is a major exporter of bananas (first place worldwide in production and export), flowers, and the seventh largest producer of cocoa. Ecuador also produces coffee, rice, potatoes, cassava (manioc, tapioca), plantains and sugarcane; cattle, sheep, pigs, beef, pork and dairy products; fish, and shrimp; and balsa wood. The country’s vast resources include large amounts of timber across the country, like eucalyptus and mangroves. Pines and cedars are planted in the region of La Sierra and walnuts, rosemary, and balsa wood in the Guayas River Basin. The industry is concentrated mainly in Guayaquil, the largest industrial center, and in Quito, where in recent years the industry has grown considerably. This city is also the largest business center of the country. Industrial production is directed primarily to the domestic market. Despite this, there is limited export of products produced or processed industrially. These include canned foods, liquor, jewelry, furniture, and more. A minor industrial activity is also concentrated in Cuenca. The incomes due to the tourism have been increasing during the last years because of the efforts of the Government of showing the variety of climates and the biodiversity in Ecuador. Ecuador has negotiated bilateral treaties with other countries, besides belonging to the Andean Community of Nations, and an associate member of Mercosur. It also serves on the World Trade Organization (WTO), in addition to the Inter-American Development Bank (IDB), World Bank, International Monetary Fund (IMF), Corporación Andina de Fomento (CAF) and other multilateral agencies. In April 2007, Ecuador paid off its debt to the IMF, thus ending an era of interventionism of the Agency in the country. The public finance of Ecuador consists of the Central Bank of Ecuador (BCE), the National Development Bank (BNF), the State Bank. Ecuador is a country with vast natural wealth. The diversity of its four regions has given rise to thousands of species of flora and fauna. It has around 1640 kinds of birds. The species of butterflies border the 4,500, the reptiles 345, the amphibians 358 and the mammals 258, among others. Not in vain, Ecuador is considered one of the 17 countries where the planet’s highest biodiversity is concentrated, being also the largest country with diversity per km2 in the world. Most of its fauna and flora lives in 26 protected areas by the State. Also, it has a huge culture spectrum. Since 2007, with the government of Rafael Correa, the tourism brand “Ecuador Ama la Vida” has been transformed, with which the nation’s tourism promotion would be sold. Focused on considering it as a country friendly and respectful of the nature, natural biodiversity and cultural diversity of the peoples. And for this, means of exploiting them are developed along with the private economy. Cuenca‘s tramway is the largest public transport system in the city and the first modern tramway in Ecuador. It was inaugurated on March 8, 2019. It has 20,4 km and 27 stations. It will transport 120 000 passagers daily. It’s route starts in the south of Cuenca and ends in the north at the Parque Industrial neighbourhood. The Mariscal Sucre International Airport in Quito and the José Joaquín de Olmedo International Airport in Guayaquil have experienced a high increase in demand and have required modernization. In the case of Guayaquil it involved a new air terminal, once considered the best in South America and the best in Latin America and in Quito where an entire new airport has been built in Tababela and was inaugurated in February 2013, with Canadian assistance. However, the main road leading from Quito city centre to the new airport will only be finished in late 2014, making current travelling from the airport to downtown Quito as long as two hours during rush hour. Quito’s old city-centre airport is being turned into parkland, with some light industrial use. Ecuador’s population is ethnically diverse and the 2016 estimates put Ecuador’s population at 16,385,068. The largest ethnic group (as of 2010[update]) is the Mestizos, who are the descendants of Spanish colonists that interbred with Amerindian peoples, and constitute about 71% of the population. The White Ecuadorians (White Latin American) account for 6.1% of the population of Ecuador and can be found throughout all of Ecuador primarily around the urban areas. Even though Ecuador’s white population during its colonial era were mainly descendants from Spain, today Ecuador’s white population is a result of a mixture of European immigrants, predominantly from Spain with people from Italy, France, Germany, and Switzerland who have settled in the early 20th century. Ecuador also has people of middle eastern extraction that have also joined the ranks of the white minority. These include economically well off immigrants of Lebanese and Palestinian descent, who are either Christian or Muslim (Islam in Ecuador). In addition, there is a small European Jewish (Ecuadorian Jews) population, which is based mainly in Quito and to a lesser extent in Guayaquil. Amerindians account for 7% of the current population. The mostly rural Montubio population of the coastal provinces of Ecuador, who might be classified as Pardo account for 7.4% of the population. The Afro-Ecuadorians is a minority population (7%) in Ecuador, that includes the Mulattos and zambos, and are largely based in the Esmeraldas province and to a lesser degree in the predominantly Mestizo provinces of Coastal Ecuador – Guayas and Manabi. In the Highland Andes where a predominantly Mestizo, white and Amerindian population exist, the African presence is almost non-existent except for a small community in the province of Imbabura called Chota Valley. According to the Ecuadorian National Institute of Statistics and Census, 91.95% of the country’s population have a religion, 7.94% are atheists and 0.11% are agnostics. Among the people that have a religion, 80.44% are Roman Catholic Latin Rite (see List of Roman Catholic dioceses in Ecuador), 11.30% are Evangelical Protestants, 1.29% are Jehovah’s Witnesses and 6.97% other (mainly Jewish, Buddhists and Latter-day Saints). There is a small number of Eastern Orthodox Christians, Amerindian religions, Muslims (see Islam in Ecuador), Buddhists and Bahá’í. According to their own estimates, The Church of Jesus Christ of Latter-day Saints accounts for about 1.4% of the population, or 211,165 members at the end of 2012. According to their own sources, in 2017 there were 92,752 Jehovah’s Witnesses in the country. The first Jews arrived in Ecuador in the 16th and 17th centuries. Most of them are Sephardic Anusim (Crypto-Jews) and many still speak Judaeo-Spanish (Ladino) language. Today the Jewish Community of Ecuador (Comunidad Judía del Ecuador) has its seat in Quito and has approximately 200 members. Nevertheless, this number is declining because young people leave the country for the United States or Israel. The Community has a Jewish Center with a synagogue, a country club, and a cemetery. It supports the “Albert Einstein School”, where Jewish history, religion, and Hebrew classes are offered. There are very small communities in Cuenca. The “Comunidad de Culto Israelita” reunites the Jews of Guayaquil. This community works independently from the “Jewish Community of Ecuador” and is composed of only 30 people. The Ecuadorian constitution recognizes the “pluri-nationality” of those who want to exercise their affiliation with their native ethnic groups. Thus, in addition to criollos, mestizos, and Afro-Ecuadorians, some people belong to the Amerindian nations scattered in a few places in the coast, Quechua Andean villages, and the Amazonian jungle. In recent years, Ecuador has grown in popularity among North American expatriates. They’re drawn there by the authentic cultural experience and beautiful natural surroundings. Also, Ecuador’s favorable residency options make for an easy transition for those who decide to settle there indefinitely. Another perk that draws many expats to Ecuador is its low cost of living. Since everything from gas to groceries costs far less than in North America, it’s a popular choice for those who are looking to make the most of their retirement budget. Even real estate in Ecuador is much less than its tropical counterparts. However, as more and more North Americans are discovering Ecuador’s potential, property prices are beginning to rise from where they were a decade ago, particularly in the areas that are popular among expats and tourists. Ecuador’s mainstream culture is defined by its Hispanic mestizo majority, and, like their ancestry, it is traditionally of Spanish heritage, influenced in different degrees by Amerindian traditions and in some cases by African elements. The first and most substantial wave of modern immigration to Ecuador consisted of Spanish colonists, following the arrival of Europeans in 1499. A lower number of other Europeans and North Americans migrated to the country in the late 19th and early twentieth centuries and, in smaller numbers, Poles, Lithuanians, English, Irish, and Croats during and after the Second World War. Since African slavery was not the workforce of the Spanish colonies in the Andes Mountains, given the subjugation of the Amerindian people through proselytization and encomiendas, the minority population of African descent is mostly found in the coastal northern province of Esmeraldas. This is largely owing to the 17th-century shipwreck of a slave-trading galleon off the northern coast of Ecuador. The few black African survivors swam to the shore and penetrated the then-thick jungle under the leadership of Anton, the chief of the group, where they remained as free men maintaining their original culture, not influenced by the typical elements found in other provinces of the coast or in the Andean region. A little later, freed slaves from Colombia known as cimarrones joined them. In the small Chota Valley of the province of Imbabura exists a small community of Africans among the province’s predominantly mestizo population. These blacks are descendants of Africans, who were brought over from Colombia by Jesuits to work their colonial sugar plantations as slaves. As a general rule, small elements of zambos and mulattoes coexisted among the overwhelming mestizo population of coastal Ecuador throughout its history as gold miners in Loja, Zaruma, and Zamora and as shipbuilders and plantation workers around the city of Guayaquil. Today you can find a small community of Africans in the Catamayo valley of the predominantly mestizo population of Loja. Ecuador’s Amerindian communities are integrated into the mainstream culture to varying degrees, but some may also practice their own native cultures, particularly the more remote Amerindian communities of the Amazon basin. Spanish is spoken as the first language by more than 90% of the population and as a first or second language by more than 98%. Part of Ecuador’s population can speak Amerindian languages, in some cases as a second language. Two percent of the population speak only Amerindian languages. Most Ecuadorians speak Spanish, though many speak Amerindian language, such as Kichwa (also spelt Quichua), which is one of the Quechuan languages and is spoken by approximately 2.5 million people in Ecuador, Bolivia, Colombia, and Peru. Other Amerindian languages spoken in Ecuador include Awapit (spoken by the Awá), A’ingae (spoken by the Cofan), Shuar Chicham (spoken by the Shuar), Achuar-Shiwiar (spoken by the Achuar and the Shiwiar), Cha’palaachi (spoken by the Chachi), Tsa’fiki (spoken by the Tsáchila), Paicoca (spoken by the Siona and Secoya), and Wao Tededeo (spoken by the Waorani). Though most features of Ecuadorian Spanish are universal to the Spanish-speaking world, there are several idiosyncrasies. The music of Ecuador has a long history. 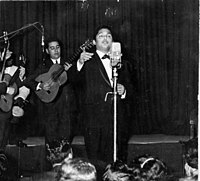 Pasillo is a genre of indigenous Latin music. In Ecuador it is the “national genre of music”. Through the years, many cultures have brought their influences together to create new types of music. There are also different kinds of traditional music like albazo, pasacalle, fox incaico, tonada, capishca, Bomba (highly established in Afro-Ecuadorian societies), and so on. Tecnocumbia and Rockola are clear examples of the influence of foreign cultures. One of the most traditional forms of dancing in Ecuador is Sanjuanito. It’s originally from northern Ecuador (Otavalo-Imbabura). Sanjuanito is a type of dance music played during festivities by the mestizo and Amerindian communities. According to the Ecuadorian musicologist Segundo Luis Moreno, Sanjuanito was danced by Amerindian people during San Juan Bautista’s birthday. This important date was established by the Spaniards on June 24, coincidentally the same date when Amerindian people celebrated their rituals of Inti Raymi. In the coastal region, seafood is very popular, with fish, shrimp, and ceviche being key parts of the diet. Generally, ceviches are served with fried plantain (chifles y patacones), popcorn, or tostado. Plantain– and peanut-based dishes are the basis of most coastal meals. Encocados (dishes that contain a coconut sauce) are also very popular. Churrasco is a staple food of the coastal region, especially Guayaquil. Arroz con menestra y carne asada (rice with beans and grilled beef) is one of the traditional dishes of Guayaquil, as is fried plantain, which is often served with it. This region is a leading producer of bananas, Cocoa beans (to make chocolate), shrimp, tilapia, mango, and passion fruit, among other products. Early literature in colonial Ecuador, as in the rest of Spanish America, was influenced by the Spanish Golden Age. One of the earliest examples is Jacinto Collahuazo, an Amerindian chief of a northern village in today’s Ibarra, born in the late 1600s. Despite the early repression and discrimination of the native people by the Spanish, Collahuazo learned to read and write in Castilian, but his work was written in Quechua. 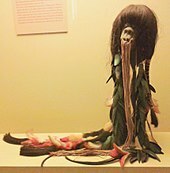 The use of Quipu was banned by the Spanish, and in order to preserve their work, many Inca poets had to resort to the use of the Latin alphabet to write in their native Quechua language. The history behind the Inca drama “Ollantay”, the oldest literary piece in existence for any Amerindian language in America, shares some similarities with the work of Collahuazo. Collahuazo was imprisoned and all of his work burned. The existence of his literary work came to light many centuries later, when a crew of masons was restoring the walls of a colonial church in Quito and found a hidden manuscript. The salvaged fragment is a Spanish translation from Quechua of the “Elegy to the Dead of Atahualpa”, a poem written by Collahuazo, which describes the sadness and impotence of the Inca people of having lost their king Atahualpa. Famous authors from the late colonial and early republic period include Eugenio Espejo, a printer and main author of the first newspaper in Ecuadorian colonial times; Jose Joaquin de Olmedo (born in Guayaquil), famous for his ode to Simón Bolívar titled Victoria de Junin; Juan Montalvo, a prominent essayist and novelist; Juan Leon Mera, famous for his work “Cumanda” or “Tragedy among Savages” and the Ecuadorian National Anthem; Juan A. Martinez with A la Costa’;, Dolores Veintimilla; and others. In spite of Ecuador’s considerable mystique, it is rarely featured as a setting in contemporary western literature. One exception is “The Ecuadorian Deception,” a murder mystery/thriller authored by American Bear Mills. In it, George d’Hout, a website designer from the United States is lured under false pretenses to Guayaquil. A corrupt American archaeologist is behind the plot, believing d’Hout holds the keys to locating a treasure hidden by a buccaneer ancestor. The story is based on a real pirate by the name of George d’Hout who terrorized Guayaquil in the 16th Century. Community health care centers (Centros de Salud) are found inside metropolitan areas of cities and in rural areas. These are day hospitals that provide treatment to patients whose hospitalization is under 24 hours. The doctors assigned to rural communities, where the Amerindian population can be substantial, have small clinics under their responsibility for the treatment of patients in the same fashion as the day hospitals in the major cities. The treatment in this case respects the culture of the community. Ecuador currently ranks 20, in most efficient health care countries, compared to 111 back in the year 2000. 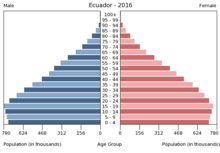 Ecuadorians have a life expectancy of 75.6 years. The infant mortality rate is 13 per 1,000 live births, a major improvement from approximately 76 in the early 1980s and 140 in 1950. 23% of children under five are chronically malnourished. Population in some rural areas have no access to potable water, and its supply is provided by mean of water tankers. There are 686 malaria cases per 100,000 people. Basic health care, including doctor’s visits, basic surgeries, and basic medications, has been provided free since 2008. However, some public hospitals are in poor condition and often lack necessary supplies to attend the high demand of patients. Private hospitals and clinics are well equipped but still expensive for the majority of the population. The Ecuadorian Constitution requires that all children attend school until they achieve a “basic level of education”, which is estimated at nine school years. In 1996, the net primary enrollment rate was 96.9%, and 71.8% of children stayed in school until the fifth grade. The cost of primary and secondary education is borne by the government, but families often face significant additional expenses such as fees and transportation costs. However, in 2004, the National Council of Higher Education (CONESUP), started the reorganization of all the degree-granting schemes of the accredited universities in order to pair them with foreign counterparts. The new structure of some careers caused the dropping of subjects, credits, or even the name of the previously conferred diplomas. The terminal degree in law, previously known as JD Juris Doctor (Doctor en Jurisprudencia) was replaced by the one of abogado (attorney) with the exception of the modification of the number of credits to equate it to an undergraduate degree. In the same fashion for medical school, the required time of education was considerably reduced from nine years (the minimum needed to obtain the title of MD in Medicine and Surgery) to almost five, with the provision that the diploma is not terminal anymore, and it is given with the title of médico (medic). Therefore, an MD or PhD in medicine is only to be obtained overseas until the universities adjust themselves to granting schemes and curriculum as in foreign counterparts. Nonetheless, a “médico” can start a career as family practitioner or general medicine physician. This new reorganization, although very ambitious, lacked the proper path to the homologation of diplomas for highly educated professionals graduated in the country or even for the ones graduated in foreign institutions. One of the points of conflict was the imposition of obtaining foreign degrees to current academicians. As today, a master’s degree is a requirement to keep an academic position and at least a foreign PhD to attain or retain the status of rector (president of a university) or décano (dean). For Ecuadorian researchers and many academicians trained in the country, these regulations sounded illogical, disappointing, and unlawful since it appeared a question of a title name conflict rather than specialization or science advancement. A debate to modify this and other reforms, especially the one which granted control of the Higher Education System by the government, was practically passed with consensus by the multi-partisan National Assembly on August 4, 2010, but vetoed by President Rafael Correa, who wanted to keep the law strictly as it was originally redacted by his political party and SENPLADES (National Secretary of Planning and Development). Due to this change, there are many highly educated professionals and academicians under the old structure but estimated that only 87% of the faculty in public universities have already obtained a master’s degree, and fewer than 5% have a PhD (although many of them already have Ecuadorian-granted doctorate degrees). Ecuador is currently placed in 96th position of innovation in technology. The most notable icons in Ecuadorian sciences are the mathematician and cartographer Pedro Vicente Maldonado, born in Riobamba in 1707, and the printer, independence precursor, and medical pioneer Eugenio Espejo, born in 1747 in Quito. Among other notable Ecuadorian scientists and engineers are Lieutenant Jose Rodriguez Lavandera, a pioneer who built the first submarine in Latin America in 1837; Reinaldo Espinosa Aguilar (1898–1950), a botanist and biologist of Andean flora; and José Aurelio Dueñas (1880–1961), a chemist and inventor of a method of textile serigraphy. The scientific production in hard sciences has been limited due to lack of funding but focused around physics, statistics, and partial differential equations in mathematics. In the case of engineering fields, the majority of scientific production comes from the top three polytechnic institutions: Escuela Superior Politécnica del Litoral – ESPOL, Universidad de Las Fuerzas Armadas – ESPE, and Escuela Politécnica Nacional EPN. The Center for Research and Technology Development in Ecuador is an autonomous center for research and technology development funded by Senecyt. EPN is known for research and education in the applied science, astronomy, atmospheric physics, engineering and physical sciences. The Geophysics Institute  monitors over the country’s volcanoes in the Andes Mountains of Ecuador and in the Galápagos Islands, all of which is part of the Ring of Fire. EPN adopted the polytechnic university model that stresses laboratory instruction in applied science and engineering. ^ a b c d “Ecuador”. The World Factbook. Archived from the original on August 16, 2011. Retrieved August 18, 2011. ^ “Constitución Política de la República del Ecuador”. Archived from the original on October 17, 2015. Retrieved September 13, 2014. ^ a b EL UNIVERSO. “Población del país es joven y mestiza, dice censo del INEC – Data from the national census 2010 (2011-09-02)”. El Universo. Archived from the original on September 24, 2014. Retrieved September 13, 2014. ^ España (January 1, 1841). “Tratado de paz y amistad celebrado entre España y la República del Ecuador: en 16 de febrero de 1840”. en la Imprenta Nacional. Archived from the original on November 16, 2016. Retrieved July 25, 2016 – via Google Books. ^ a b “Ecuador-Geography”. CIA World Factbook. United States Central Intelligence Agency. Archived from the original on October 6, 2009. Retrieved October 6, 2017. ^ a b “World Population Prospects: The 2017 Revision”. ESA.UN.org (custom data acquired via website). United Nations Department of Economic and Social Affairs, Population Division. Retrieved September 10, 2017. ^ “Ecuadorian census held on November 28, 2010”. Archived from the original on September 30, 2014. Retrieved September 13, 2014. ^ “Gini Index”. World Bank. Archived from the original on November 10, 2016. Retrieved November 9, 2016. ^ “Constitución de la República del Ecuador en Shuar”. Issuu. Archived from the original on April 4, 2019. Retrieved February 21, 2019. ^ “¡Iniuri seamkur!, Ayamrumamu nuyá Iniankasrik Ayamruma Papi“ (PDF). INREDH. Archived (PDF) from the original on February 21, 2019. Retrieved February 21, 2019. ^ “Quito se convirtió en la ciudad más poblada del Ecuador con más de 2,7 millones de habitantes en el 2018”. Archived from the original on January 10, 2019. Retrieved January 11, 2019. ^ a b “South America Banks on Regional Strategy to Safeguard Quarter of Earth’s Biodiversity”. Archived from the original on October 11, 2007. Retrieved July 26, 2012. CS1 maint: BOT: original-url status unknown (link), Conservation.org (September 16, 2003). ^ “Oficialmente Ecuador es el país de las orquídeas- Noticias de Cuenca – Azuay – Ecuador – Eltiempo de Cuenca”. Archived from the original on November 29, 2014. Retrieved September 13, 2014. ^ “Ecuador Adopts New Constitution – With CELDF RIGHTS of NATURE Language”. Archived from the original on October 3, 2008. Retrieved September 30, 2008. CS1 maint: BOT: original-url status unknown (link), Community Environmental Legal Defense Fund. Retrieved September 7, 2009. ^ “Ecuador: Tasa de homicidios pasó de 6,44 a 5,69 por 100.000 habitantes” (in Spanish). Archived from the original on February 28, 2019. Retrieved February 27, 2019. ^ “Ecuador en el día de la Independencia nacional”. El Telégrafo (in Spanish). August 10, 2017. Archived from the original on August 8, 2018. Retrieved August 8, 2018. ^ “Assessment for Blacks in Ecuador”. CIDCM. Archived from the original on June 22, 2012. ^ a b “Uppsala Conflict Data Program – Conflict Encyclopedia, General Conflict Information, Conflict name: Ecuador – Peru, In depth, Background to the 1995 fighting and Ecuador and Peru engage in armed conflict”. Archived from the original on September 27, 2013. Retrieved July 15, 2013. ^ Rory Carroll, Latin America correspondent (October 1, 2010). “Ecuador’s president attacked by police”. The Guardian. London. Archived from the original on September 17, 2013. Retrieved September 12, 2011. ^ “Avenger against oligarchy” wins in Ecuador The Real News, April 27, 2009. ^ Romero, Simon (April 27, 2009). “Ecuador Re-elects President, Preliminary Results Show”. The New York Times. Archived from the original on June 27, 2017. Retrieved February 24, 2017. ^ “Most Popular E-mail Newsletter”. USA Today. May 7, 2011. Archived from the original on September 22, 2012. Retrieved August 26, 2017. ^ “Public spending fuels Ecuador leader’s popularity”. Voxxi.com. January 25, 2012. Archived from the original on May 12, 2013. Retrieved September 4, 2012. ^ “Correa’s and Ecuador’s Success drive The Economist Nuts” Archived April 16, 2015, at the Wayback Machine. New Economic Perspectives. Correa wins re-election and says banks and mass media don’t rule anymore Archived March 18, 2015, at the Wayback Machine. The Real News. February 19, 2013. Retrieved January 1, 2014. ^ “Compulsory Voting”. Archived from the original on June 12, 2009. Retrieved August 18, 2012. ^ a b c d e f “Ecuador”. WORLD REPORT 2013, Human Rights Watch. pp. 1–3. Archived from the original on October 6, 2014. Retrieved September 13, 2014. ^ “Democracy in Ecuador”. The New York Times. February 5, 2012. Archived from the original on June 27, 2017. Retrieved February 24, 2017. ^ “Ley Orgánica de Movilidad Humana” (PDF). Archived (PDF) from the original on March 29, 2018. Retrieved August 28, 2018. ^ “Ecuador Launches New Human Mobility National Plan”. June 8, 2018. Archived from the original on August 28, 2018. Retrieved August 28, 2018. ^ a b “Censo de 2010”. Archived from the original on September 30, 2014. Retrieved September 13, 2014. ^ “Niveles administrativos de planificación”. Secretaría Nacional de Planificación y Desarrollo. Archived from the original on September 24, 2015. Retrieved September 24, 2015. ^ “Región 4 – Santo Domingo, Manabí y Galápagos”. Ministry of Production, Employment and Competitiveness Coordination. Archived from the original on November 27, 2011. Retrieved February 20, 2012. ^ “Ecuador: A Comparative Atlas of Defence in Latin America / 2008 Edition”. ccmr.org. Archived from the original on May 6, 2009. Retrieved June 26, 2010. 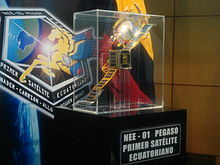 ^ “Armada del Ecuador”. Armada del Ecuador. Archived from the original on October 10, 2017. ^ “History of the ‘Escuela Superior Militar de Aviacion Cosme Rennella‘“. Esmafae.mil.ec. Archived from the original on December 20, 2011. Retrieved February 24, 2012. ^ “Ecuador – Biodiversity Conservation” (PDF). Archived from the original (PDF) on March 23, 2006. Retrieved June 26, 2010. ^ “Unesco World Heritage”. UNESCO. Archived from the original on September 1, 2010. Retrieved June 26, 2010. ^ “Ecuador’s Constitution”. Pdba.georgetown.edu. Archived from the original on February 17, 2012. Retrieved February 24, 2012. ^ Lemonick, Michael D. (October 30, 1995). “Time Magazine Report”. Time. Archived from the original on February 4, 2013. Retrieved June 26, 2010. ^ San Sebastian, M.; Hurtig, A. K. (2004). “Oil Exploitation in the Amazon Basin of Ecuador: A Public Health Emergency”. Pan American Journal of Public Health. 15 (3). doi:10.1590/S1020-49892004000300014. ^ “Yahoo! Noticias España – Los titulares de hoy”. Yahoo Noticias España. Archived from the original on September 8, 2014. Retrieved September 13, 2014. ^ “El Banco Central de Ecuador sitúa el crecimiento del 2008 en más del 6%”. soitu.es. Archived from the original on December 15, 2014. Retrieved September 13, 2014. ^ Producto Interno Bruto (PIB) – Tasa de Crecimiento Real (%) Archived January 24, 2013, at the Wayback Machine. Indexmundi.com. Retrieved January 28, 2013. ^ “Ecuador Inflation rate (consumer prices) – Economy”. Archived from the original on November 29, 2014. Retrieved September 13, 2014. ^ “Ecuador en Cifras”. Archived from the original on June 16, 2013. Retrieved September 13, 2014. ^ Comisión Económica para América Latina y el Caribe, CEPAL, Bases de Datos y Publicaciones Estadísticas “Tasa de desempleo.” Archived March 18, 2015, at the Wayback Machine Retrieved on January 28, 2013. ^ “New Paper Examines Ecuador’s Success in Emerging from Economic Recession; Reducing Poverty and Unemployment – Press Releases”. Archived from the original on November 11, 2014. Retrieved September 13, 2014. ^ a b Rebeca, Ray and Sara, Kozameh. (May 2012) Ecuador’s Economy Since 2007 Archived February 2, 2014, at the Wayback Machine. p. 15. ^ “Ecuador”. Archived from the original on June 5, 2013. Retrieved September 13, 2014. ^ “Ecuador first-half trade surplus rises to $390 mln – Energy & Oil-Reuters”. Archived from the original on September 28, 2014. Retrieved September 13, 2014. ^ “Oil Reserves”. Archived from the original on October 2, 2014. Retrieved September 13, 2014. ^ “Downloads – Statistics – Production-Related Documents”. Archived from the original on September 20, 2014. Retrieved September 13, 2014. ^ “The World Fact Book”. Central Intelligence Agency [U.S.] Central Intelligence Agency [U.S.] Archived from the original on March 24, 2017. Retrieved March 30, 2017. ^ “Mapping for Results – Ecuador, Latin America & Caribbean”. Archived from the original on February 9, 2014. Retrieved September 13, 2014. ^ “Ranking 2010 – Ranking completo”. Archived from the original on November 17, 2014. Retrieved September 13, 2014. ^ DUAL dmw. “Industrias en CUENCA”. Archived from the original on October 17, 2014. Retrieved September 13, 2014. ^ “Profile: Mercosur – Common Market of the South”. Archived from the original on October 10, 2014. Retrieved September 13, 2014. ^ “UNASUR (South American organization) – Britannica Online Encyclopedia”. Encyclopædia Britannica. Archived from the original on October 9, 2014. Retrieved September 13, 2014. ^ “Union of South American Nations”. Archived from the original on January 25, 2015. Retrieved September 13, 2014. ^ “City of Quito – UNESCO World Heritage”. Whc.unesco.org. Archived from the original on May 7, 2009. Retrieved April 30, 2010. ^ David Grijalva. “News And Updates”. Archived from the original on February 1, 2014. Retrieved September 13, 2014. ^ “Best airport in the world – 2–5 million passengers – ASQ Awards”. Archived from the original on September 3, 2012. Retrieved September 13, 2014. ^ “Quito, Ecuador’s New Airport – Gateway to the Galápagos”. Archived from the original on June 17, 2013. Retrieved September 13, 2014. ^ a b c “Central America and Caribbean :: PAPUA NEW GUINEA”. CIA The World Factbook. Archived from the original on April 10, 2011. Retrieved August 9, 2016. ^ “LDS Newsroom, Facts and Statistics, Ecuador”. mormonnewsroom.org. Archived from the original on October 7, 2014. Retrieved September 13, 2014. ^ “The Lost Sephardic Tribes of Latin America”. Greater Miami Jewish Federation Community Post. Archived from the original on June 30, 2014. Retrieved September 13, 2014. ^ Montinaro, F.; Busby, G. B.; Pascali, V. L.; Myers, S.; Hellenthal, G.; Capelli, C. (March 24, 2015). “Unravelling the hidden ancestry of American admixed populations”. Nature Communications. 6. See Supplementary Data. doi:10.1038/ncomms7596. PMC 4374169. PMID 25803618. ^ “Resultados Nacionales Censo de Población y Vivienda”. Inec.gob.ec. Archived from the original on February 7, 2012. Retrieved February 24, 2012. “Ecuador: Virtual Jewish History Tour”. American-Israeli Cooperative Enterprise. 2004. Archived from the original on September 28, 2013. Retrieved June 23, 2013. “Cuenca Ecuador – How The American Dream Moved South”. vivatropical.com. 2013. Archived from the original on February 10, 2015. Retrieved January 13, 2015. ^ Elisabeth Hurtel. “Photos Indigenous people of Ecuador”. South-images.com. Archived from the original on September 11, 2012. Retrieved September 13, 2014. ^ “Las esculturas de Teddy Cobeña las favoritas del público”. Europa Press. Archived from the original on February 2, 2017. ^ “Teddy Cobeña expondrá en Europa y Asia”. Diario Expreso. Archived from the original on February 2, 2017. ^ “Madrid guarda arte manabita”. El Diario de Ecuador. Archived from the original on February 2, 2017. ^ “The pride of Ecuador”. Synergos.org. August 14, 1996. Archived from the original on May 10, 2011. Retrieved December 22, 2010. ^ Larrea, Julio. “25 Años de Vida Institucional”, Imprenta del Ministerio de Salud Publica, Quito 2008. ^ “History of the Ministry of Public Health”. Msp.gob.ec. Archived from the original on March 17, 2012. Retrieved February 24, 2012. ^ a b “Program of the Ministry of Public Health – Ecuador”. Msp.gob.ec. Archived from the original on October 5, 2010. Retrieved February 24, 2012. ^ a b c d “Public health care network – Ministry of Public Health – Ecuador”. Msp.gob.ec. Archived from the original on December 6, 2010. Retrieved February 24, 2012. 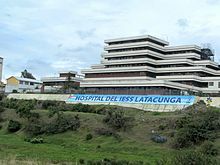 ^ “Medical Services – Instituto Ecuatoriano de Seguridad Social”. Iess.gob.ec. February 19, 2010. Archived from the original on February 21, 2012. Retrieved February 24, 2012. ^ “Most Efficient Health Care: Countries – Bloomberg Best (and Worst)”. Bloomberg. Archived from the original on September 6, 2014. Retrieved March 6, 2017. ^ a b c Olsont, David (September 19, 2009). “Still in its infancy, Ecuador’s free health care has growing pains | Special Reports”. PE.com. Archived from the original on December 25, 2010. Retrieved June 26, 2010. ^ Rex A. Hudson. “Labor”. Ecuador: A country study (Dennis M. Hanratty, ed.). Library of Congress Federal Research Division (1989). This article incorporates text from this source, which is in the public domain. ^ “NASA Creating a Virtual Telescope with Two Small Spacecraft” Archived October 10, 2017, at the Wayback Machine. NASA. ^ a b c “Ecuador”. The Department of Labor’s 2001 Findings on the Worst Forms of Child Labor. Bureau of International Labor Affairs, U.S. Department of Labor. 2002. Archived from the original on May 3, 2010. ^ “Checkprogram press release”. Eluniverso.com. Archived from the original on January 19, 2012. Retrieved February 24, 2012. ^ “Instituto Geofísico – EPN – Home” Archived February 22, 2011, at the Wayback Machine. igepn.edu.ec. ^ “Secretaria Nacional de Educacion Superior, Ciencia y Tecnologia”. Archived from the original on October 23, 2014. Retrieved September 13, 2014. “Ecuador”. The World Factbook. Central Intelligence Agency.